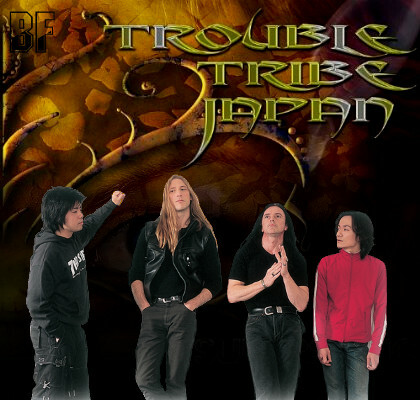 Troubletribe Japan (TTJ) is a melodic hard rock band based in Osaka Japan. The TTJ consists two supreme Japanese guitar players that play 7-string guitars and 6-string basses, and a stereotypical Irish singer and a slammin' American drummer. The band's various musical backgrounds and culture create a unique blend of rock. Since forming in the year 2000, the TTJ has marked several accomplishments. Before signing their first record deal, the band members were featured guests on FM radio stations in Japan. Internationally, songs such as Broken Promises and Rock 'N' Roll Crazy reached the waves in countries such as Brazil, Poland, UK and even reaching as high as #7 in parts of the USA. 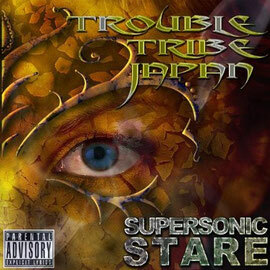 Now they have released the long-waited album SUPERSONIC STARE in May 2011. With stronger song-writing and a good production, they has captured its signature sound and become exactly what they always wanted to be. In their eyes, that's all the success they ever wanted. This album is now available at amazon.com You can see them playing in venues of all sizes between Japan and Australia. Seeing them in any one of these venues will give listeners a different experience every time. Thanks for the rockin' entry! I would LOVE for Gordy and the boys to tour the good ol USA! Love em! Keep it Rockin' TTJ. Wishing you the best for 2012. Come play in Tokyo again! !